Mold Exposure and Your Health. Find out about mold and your health. Mold Exposure and Your Health. Spring often brings wet crawl spaces, and flooded basements. Each of those problems can bring mold. 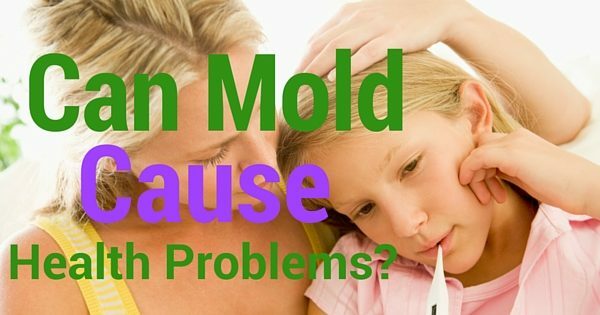 But how does mold affect your health? Keep reading and find out. According to the Centers for Disease Control, exposure to damp and moldy environments may cause a variety of health effects, or none at all. Some people are sensitive to molds. For these people, molds can cause nasal stuffiness, throat irritation, coughing or wheezing, eye irritation, or, in some cases, skin irritation. People with mold allergies may have more severe reactions. Immune-compromised people and people with chronic lung illnesses, such as obstructive lung disease, may get serious infections in their lungs when they are exposed to mold. These people should stay away from areas that are likely to have mold. In addition, in 2004 the IOM found sufficient evidence to link exposure to damp indoor environments in general to upper respiratory tract symptoms, cough, and wheeze in otherwise healthy people and with asthma symptoms in people with asthma. The IOM also found limited or suggestive evidence linking exposure to damp indoor environments in general to shortness of breath, to respiratory illness in otherwise healthy children and to potential development of asthma in susceptible individuals. In 2009, the World Health Organization issued additional guidance, the WHO Guidelines for Indoor Air Quality: Dampness and Mold. Other recent studies have suggested a potential link of early mold exposure to development of asthma in some children, particularly among children who may be genetically susceptible to asthma development, and that selected interventions that improve housing conditions can reduce morbidity from asthma and respiratory allergies, but more research is needed in this regard. If you have mold in your home, or are exposed to it in other areas such as a compost pile, cut grass or wood piles, it’s important that you are avoid breathing in mold in these areas to help keep your lungs healthy. Still have questions about mold and your health? Ask your doctor.